Both Sol Bamba and Neil Warnock were proud to have won for Emiliano Sala after Cardiff City snatched a dramatic victory at Southampton on Saturday. 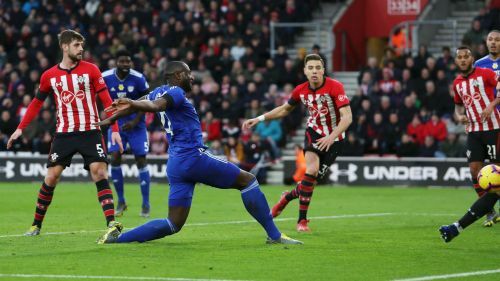 Cardiff were in action at St Mary's for the first time since the body of record signing Sala, discovered in plane wreckage in the English Channel, was identified. Goals from Bamba and Kenneth Zohore - the latter in the third minute of injury time, having been pegged back moments earlier - saw the Bluebirds win for the second week running in the Premier League. The victory saw Warnock's men climb out of the relegation zone and both the manager and captain Bamba were keen to pay tribute to Sala afterwards. "It's been a tough couple of weeks," Bamba said. "We knew we had to come here and get a result and it wasn't easy. "But to put in a performance like this is very good and we're very pleased at the end. It's a massive boost, especially at this stage of the season. "We want to build momentum and have a run of games, so it was good to get the win and hopefully we can build on that. "It can't get better, scoring the first goal in front of our fans. A lot goes through your mind. I know Emiliano Sala was looking from up there, so it's good to get the three points." Following up a home success against Bournemouth, this was the first time Cardiff had won consecutive top-flight matches since April 1962. Warnock added to BBC Sport: "The crowd have been amazing, you saw them today. "I'm really pleased for them because it's a long way to come and they deserve that. In the last few weeks, they've stuck with us. It's been difficult for everybody. "I thought today was appropriate, it was the first time since 1962 we've got back-to-back wins [in the top flight] and I think, for Emiliano, I feel really proud that the lads have done him justice."